Asian currencies should be on the defensive ahead as Asian export growth moderates and as China’s economic growth may slow in the second half of this year, UOB said in its third-quarter outlook last week. It said the recent round of central bank rate hikes in the Philippines, Indonesia and India were partly motivated by the need to stabilize their currencies. UOB added that it expected two more rate hikes by Bank Indonesia this year. But it said that it expected even currency laggards such as the Philippine peso, India’s rupee and Indonesia’s rupiah may have limited further downside amid the proactive moves to front-load rate hikes. “Overall, we factor a two to three percent drop in most Asian currencies against the U.S. dollar for the next four quarters,” UOB said. It added that the Singapore dollar and the Chinese yuan would be supported by “robust fundamentals,” and where likely to remain firm against their trade-weighted currency baskets. It said it expected the dollar/sing would retreat only modestly to 1.35 and the dollar/yuan to 6.45 by the end of the year. 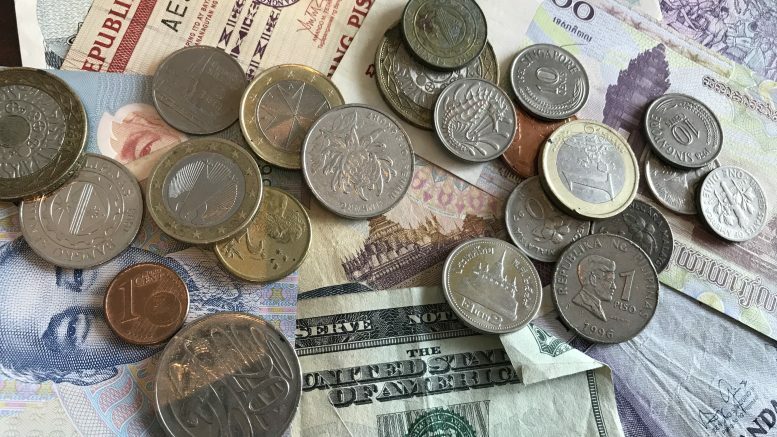 It forecast the dollar/sing at 1.34 in the third quarter, 1.35 in the fourth quarter of 2018 and first quarter of 2019. It forecast the dollar/yuan at 6.42 for the third quarter, 6.45 for the fourth quarter, 6.50 for the first quarter of net year and 6.55 for the second quarter of 2019. The dollar/sing was at 1.3510 on Friday, according to Bloomberg data, after it spiked higher; Singapore markets were closed on Friday. The dollar/yuan was at 6.4387 on Friday, according to Bloomberg data. But UOB noted Asian currencies faced risks from an escalating trade war from the U.S.
well be vulnerable to any negative impact on exports due to tariffs,” it said. If that happens, the U.S. dollar would likely appreciate faster against Asian currencies, in particular against the Chinese yuan.